SUMMER CAMP 2019 Registration is open!! If a week is full you can still sign up to be placed on waitlist. 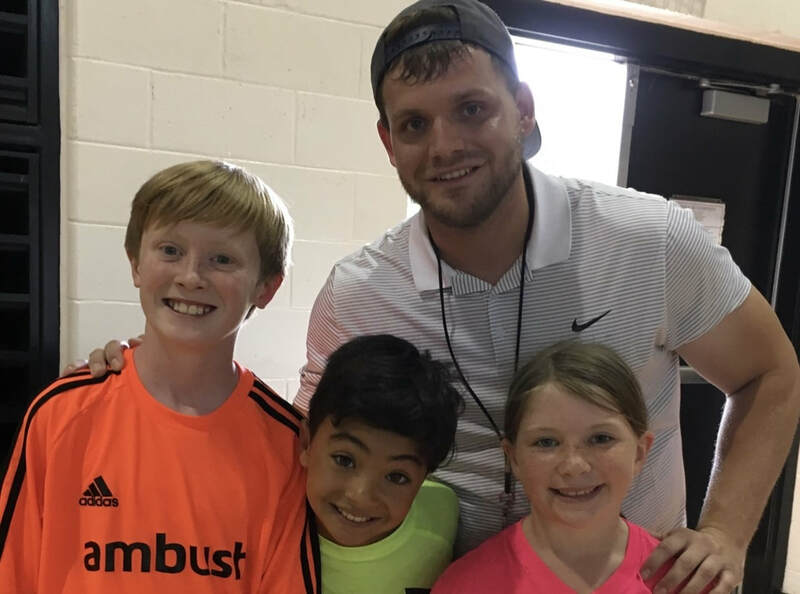 ​​​My name is Coach Tayler, I work in physical education at Abbott's Hill Elementary for the Fulton County School District. I have a great deal of passion and drive for both sports as well as working with youth. Before starting Coach T Sports I was running sports camps for another local organization. I have also put on many youth sports clinics, lessons and coached at a high level in basketball, soccer, and baseball. I look forward to meeting you and your child soon! Feel free to contact me via email at tayler.kc89@gmail.com. Also follow us on social media for updates. We are on Facebook, Twitter, and Instagram! See icons above for link. "From the sports field to the office, from Wall Street to Main Street, failure and success are all a part of life. Sports is the perfect platform to teach kids from a young age how to work as a team, how to compete, and how to deal with both success and failure. Beacause it's how you deal with success and failure that truly define your character."